REVIEW – Operating your smart home got a lot easier once voice control was introduced by various services. I use Amazon’s Alexa system for voice control of my Hue lights and Nest products. 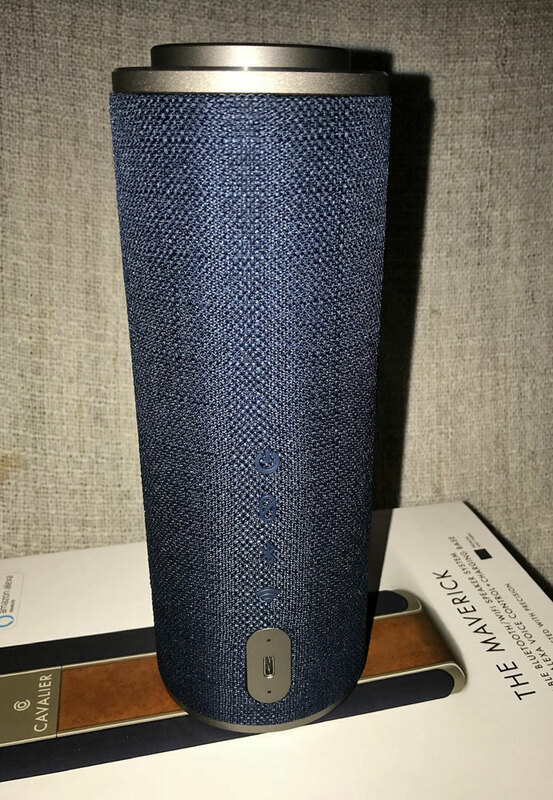 I bought my Amazon Echo devices before the surge of new-generation Echo devices and before all those new items with built-in Alexa were introduced. I have a variety of Echo devices, but I mostly have Echo Dots. They work great for talking to Alexa, but they don’t have good speakers. My iPhone 7 Plus has better speakers for playing back music. 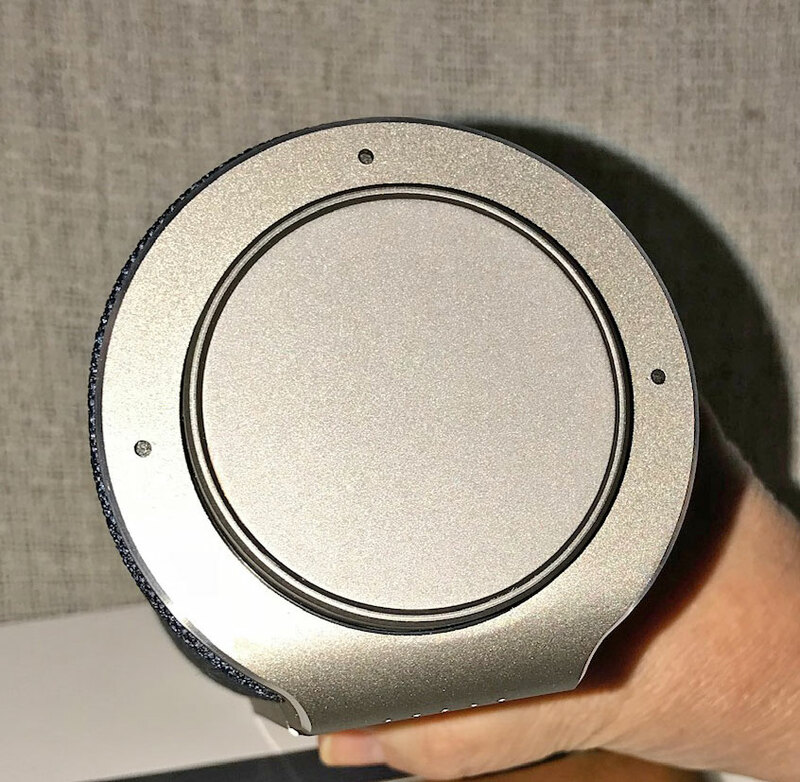 When your Alexa device doesn’t have good speakers, you could buy yourself a set of Bluetooth speakers and pair the Echo Dot with these new Bluetooth speakers for better sound from Alexa. But now you have two devices you have to have room for on the surge protector and on the tabletop. 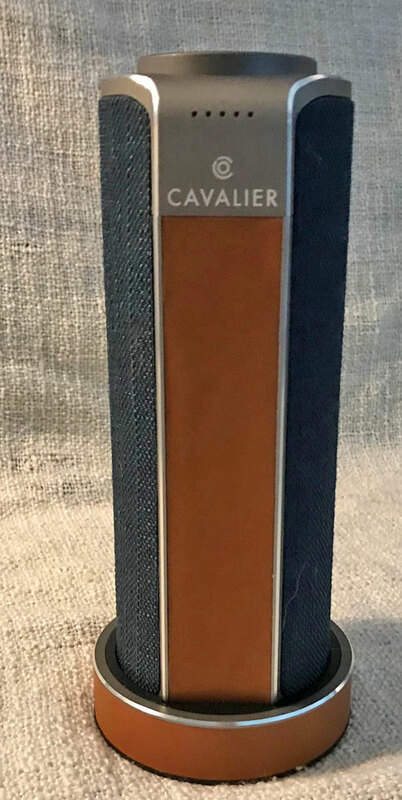 Enter Cavalier, whose The Maverick speaker system has both Bluetooth and WiFi connectivity and Alexa built-in – Alexa smart home control and good sound in one device. Cavalier sent The Gadgeteer a Maverick to try. There are two versions of the Maverick. Both have the aluminum body with a machined edge. The Black version has a black leather accent with black knitted fabric cover. The Indigo, which I received, has a caramel-brown leather accent with indigo-blue fabric. Both are very elegant, but I especially love the caramel and dark blue combination. Both have a built-in battery with up to 9 hours of playback time. The Maverick is charged with a USB-C cable and AC power supply. You can plug the charging cable directly into the back of the speaker tower, or you can use the charging dock. The charging stands are also made of aluminum and are wrapped in a piece of matching leather. With the dock, you can easily grab the speaker to take with you for music on the go without having to fumble with charging cables. 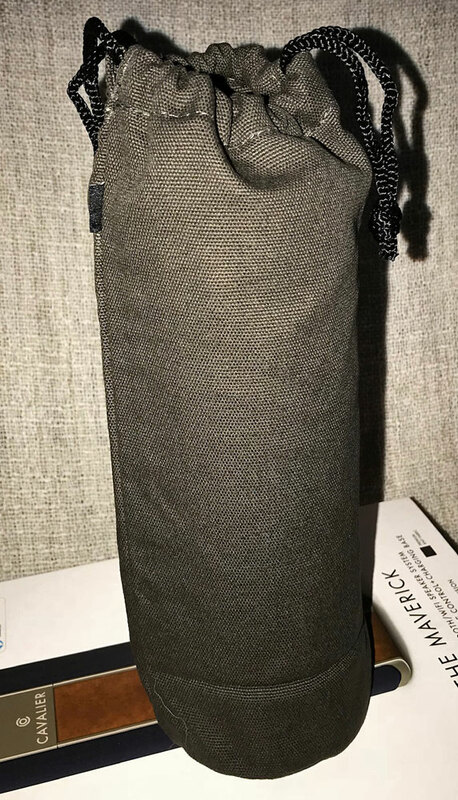 And to protect your speaker on the go, put it in the included protective bag. The button on the top is a programmable Capacitive Touch Smart Button. 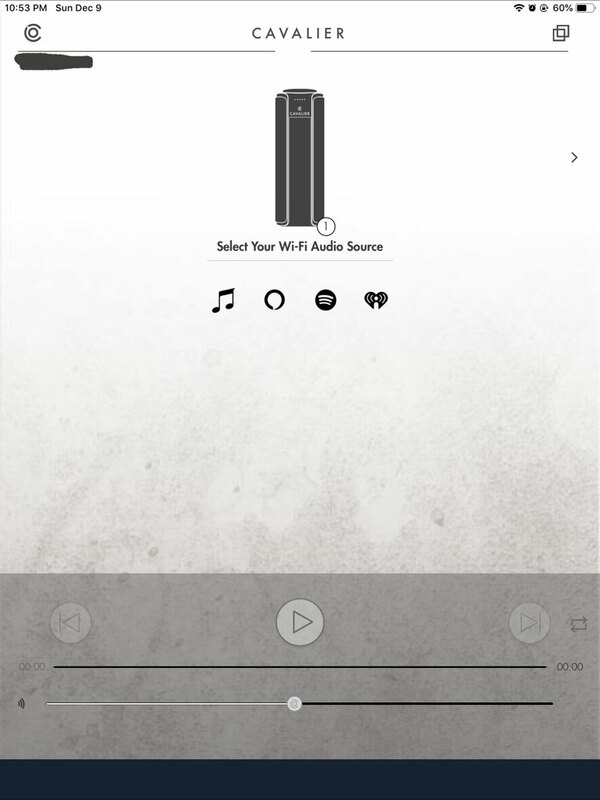 Original setup for this button is as follows: 1 tap to pause/play music; 2 taps to advance to the next track; three taps to go to previous track; or press-and-hold to activate Alexa. You can also program this inner button to activate a streaming service or other function. The ring around the smart button is the volume adjustment. To set up the Maverick, you’ll need both the Cavalier app and the Alexa app on your mobile device. 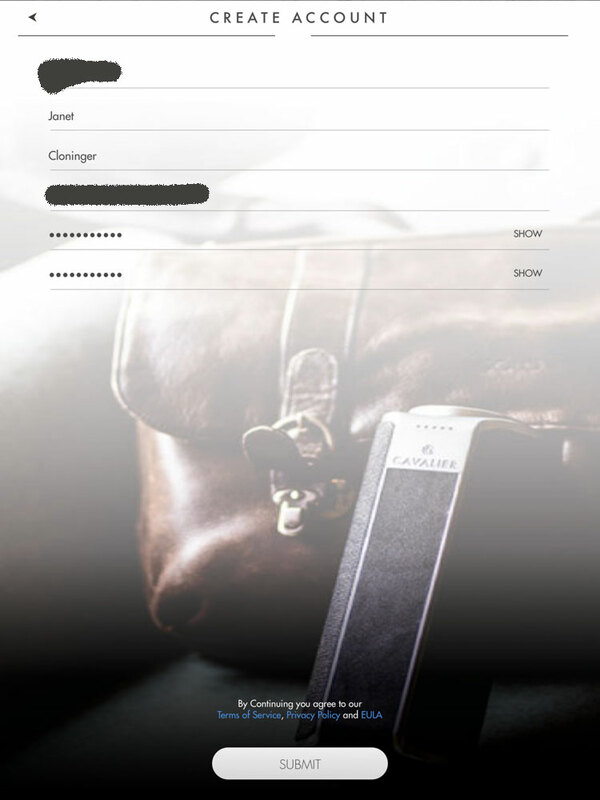 You’ll have to set up an account in the Cavalier app. You’ll need to connect to your home WiFi to use the Alexa services and to directly stream music with Alexa voice commands. With Alexa, you can stream Spotify, Amazon Music, Pandora, iHeartRadio, TuneIn, and Sirius XM. When using WiFi and the Cavalier app, I was able to select between the Apple Music library on my iPad, Spotify, and iHeartRadio from the home screen. The other, circular icon opens setup for Alexa. I don’t have iHeartRadio or any of the other services listed above, so I couldn’t try those. I do have a basic Spotify, but it turns out you need a Premium account to play Spotify through the Cavalier app. I’m not willing to pay for the Premium account, so I couldn’t it, either. I was able to play music from my Apple Music library, but it didn’t have access to the music in my iCloud library. It could only play the small subset of music I had downloaded to my iPad. When I had the speaker connected to my home WiFi, I was able to use Alexa voice commands. It worked similarly to the way my Echo Dot worked, but sometimes it didn’t seem to hear me say the wake word. However, I’ve been having a little trouble lately with Alexa through the Echo Dot not hearing me, too. I don’t know if I’m suddenly not talking loudly enough or what, but there have been no other changes in my room. When I connected via Bluetooth, I was able to use the Maverick speakers just as I would any other set of Bluetooth speakers with my iPad Pro. 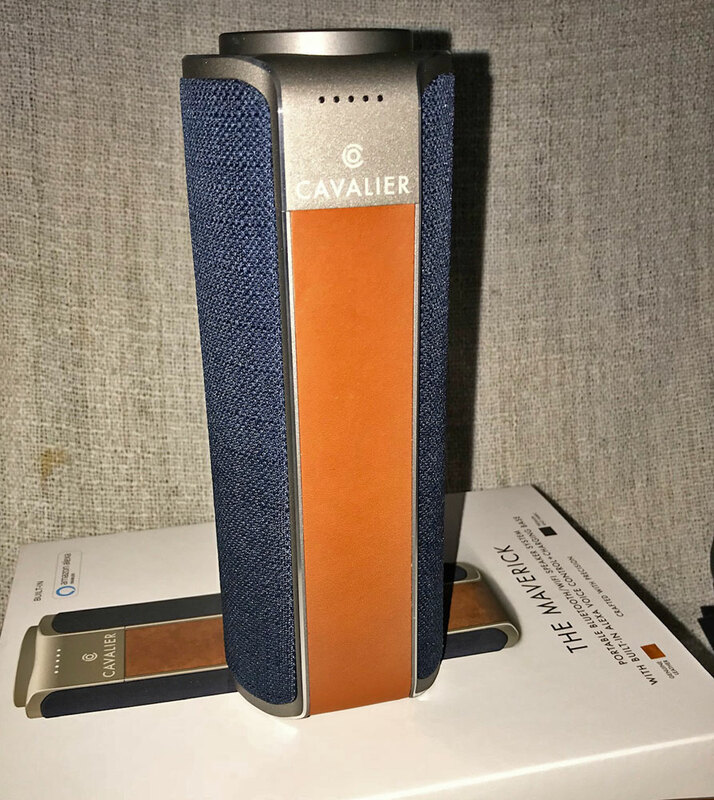 The 20W stereo speaker system with two active drivers paired with two passive radiators produced great sound whether I was using Bluetooth or WiFi connectivity. With Bluetooth, I could send the sound from any app on my iPad Pro to the speakers, including my iCloud music library. 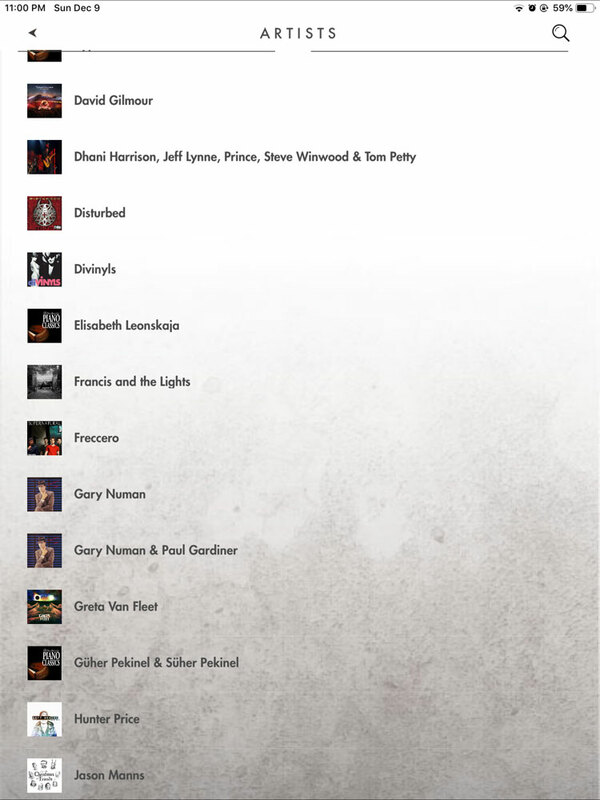 I tried a variety of songs in a variety of genres, and they all sounded great. I did have a bit of trouble switching back and forth between WiFi and Bluetooth with the Maverick. When I wanted to switch from one to the other, I’d have to put the speaker into pairing mode with the buttons on its back to change connections. I’d even have to sometimes tell my iPad Pro to forget the Maverick and start the connection from scratch to switch to Bluetooth. Couldn’t access my iCloud music library, which is where most of my music lives. I’m sure that’s a function of the iCloud access and not a shortcoming of the Cavalier app, though. I like using the Maverick for music playback, but I must admit I prefer it with Bluetooth so I can access all my iTunes music. I have days and days worth of iTunes music, and I don’t want to download it to my mobile device just to be able to play it via WiFi with the Maverick. Janet, how did you play your music from your iPad over Wifi to this device? I’d prefer doing that over using Apple Music or iCloud. Is that a function of this particular device, or can the Echo devices do that as well? I’m not finding anything on a web search; only how to pair an iPhone or iPad via Bluetooth, which isn’t what I’m after. 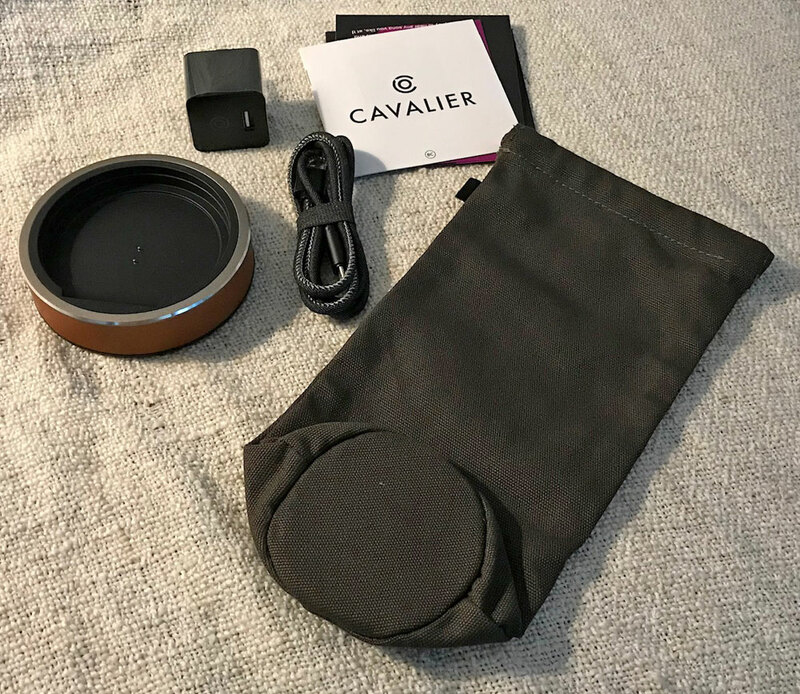 As I mentioned in the review, the Cavalier app is how you connect via WiFi. That app cannot connect to Apple music in the iCloud. It could only play my iTunes music that had been downloaded to my iPad. It works with the Cavalier speaker and the app together, not a function of Echo devices in general.